In traditional math education, English language learners (ELLs) can miss out on crucial opportunities to understand the meaning behind the math. Because so much of traditional math materials are word-heavy, there are language hurdles ELL students must overcome before they can even begin to focus on math concepts. With teachers being challenged to meet the individual learning needs of each student with materials that are often “one size fits all,” it’s easy to see how the achievement gap has reached critical levels. And because math skills are a strong predictor of overall academic success, ensuring ELL students have access to quality math education is critical. 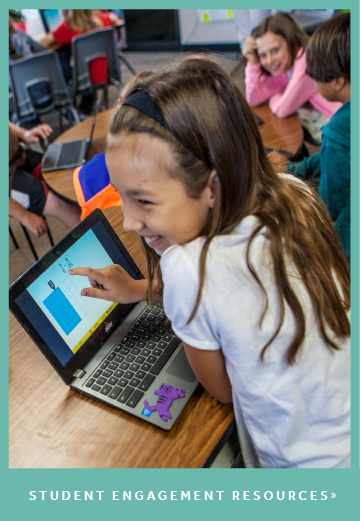 With the ST Math visual instructional program, language barriers are removed, giving ELLs access to the same level of math rigor as other students. And when students have equitable access to math education, they see similar amounts of growth in proficiency as other subgroups of students (gifted, SPED, economically disadvantaged). These results have played out in schools across the country, from California to Texas to Massachusetts. What follows are just a few of the many examples of what happens when barriers to learning are removed. 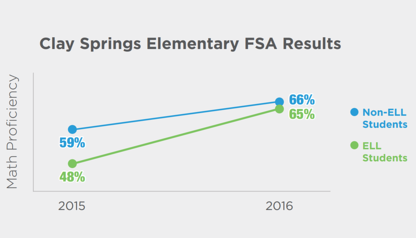 Clay Spring Elementary has been strongly implementing the ST Math program since 2015, and they continue to see proficiency gains across all of their student groups. In the 2016/2017 school year, students as a whole increased from 59% to 66% in math proficiency. 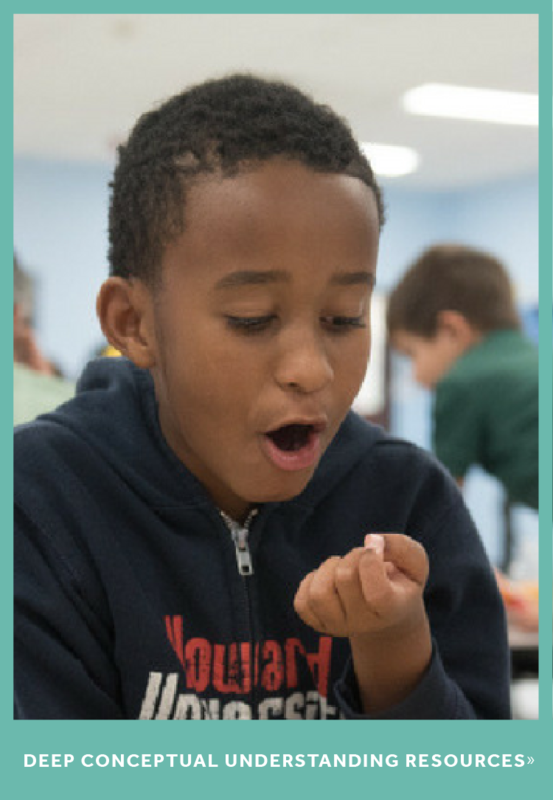 Their ELL students showed a dramatic increase, jumping from 48% to 65% (an increase of 17%). Killeen Independent School District (ISD) in Texas serves over 21,000 students from very diverse backgrounds. Not only does the district have a high mobility rate due to almost half of its population being in the military, but they also serve a high number of ELLs. Kileen’s use of ST Math began with Willow Springs Elementary school, and the program’s impact there led a district-wide implementation the following year. Between 2014 to 2016, Killeen’s elementary students scoring Satisfactory or Advanced in math increased from 49.6% to 68.1%. A deeper dive into the data revealed similarly positive results across all subgroups. 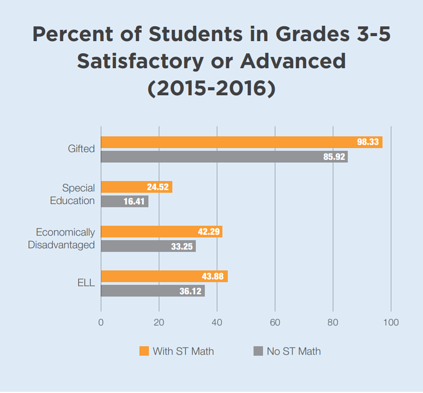 Compared to their counterparts without ST Math, almost 8% more of Killeen’s ELL students were in the Satisfactory or Advanced range. Economically disadvantaged, special education and gifted students all showed similar increases. Read the full story. In 2011, the state of Massachusetts took over Lawrence Public Schools, which was classified as a “turnaround” district. One of the challenges facing Alexander Bruce School was the fact that one third of its students were English language learners. After piloting ST Math in 2013-14, they fully implemented in 2014-2015. 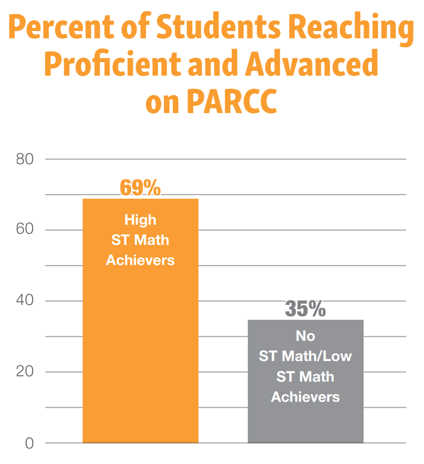 By the 2015-2016 school year, 69% of students that used ST Math consistently were reaching the highest levels of proficiency on The Partnership for Assessment of Readiness for College and Careers (PARCC). “We were looking for a technology-based solution to engage all our students,” explained Principal Cheryl Merz. 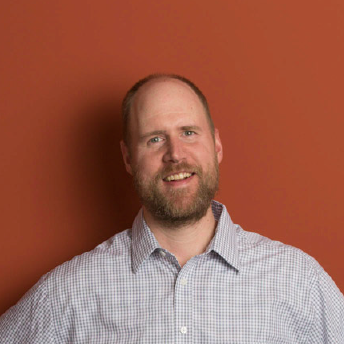 “ST Math made the learning accessible to every student, regardless of background." Read their full story.